PAP is a specialist, innovative, public interest legal project located within the Flemington & Kensington Community Legal Centre, taking the lead in police accountability law and strategies. The Police Accountability Project is located in Victoria, Australia. By providing victim-centred remedies, strategic litigation, evidence based research, community support and policy and law reform, the Police Accountability Project aims to provide justice for those who least experience it and by doing so hold police who abuse to account. We aim to drive the political, cultural and systemic change required for true police accountability. Knowledgeable and resilient communities, able to access justice, enjoy their rights and receive equal treatment before the law. The Police Accountability Clinic assists people across Victoria in making complaints against Victoria Police and Protective Service Officers. The Clinic is run by the Flemington Kensington Community Legal Centre in partnership with the Melbourne University Law Public Interest Law Program. 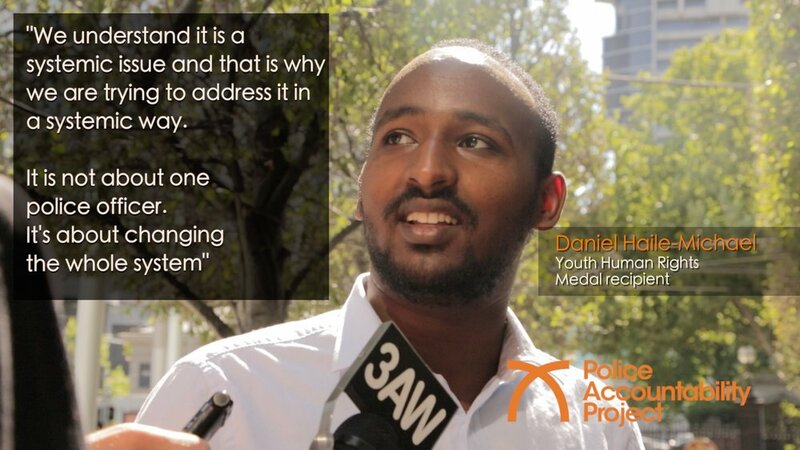 Our Without Suspicion Campaign is working to end racially discriminatory policing practices in Victoria. The Peer Advocacy Team actively reach out to and support young people who have been impacted by discriminatory and unlawful police contact and abuse and also address other issues affecting young’s well being. We have strong partnerships with local and statewide youth and community agencies, law firms, barristers and a network of supporters. View Our Supporters page.